AHQ Accessory Headquarters has some impressive new digs. 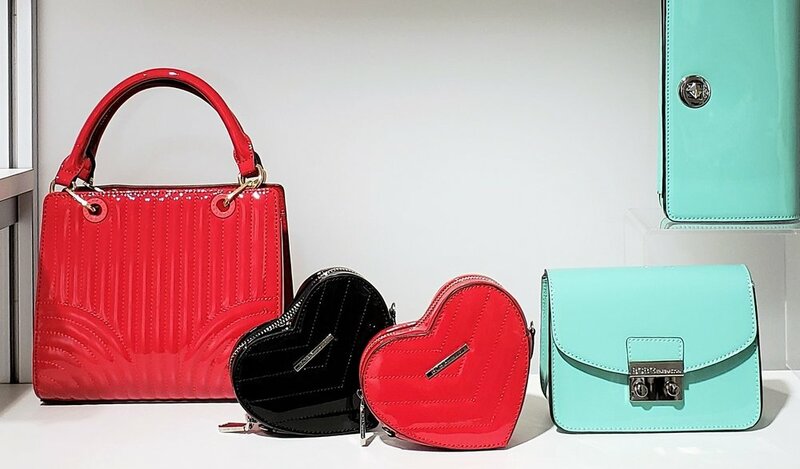 The multi-line handbag manufacturer with a mix of licensed and proprietary brands, has expanded in depth and breadth with a sparkling all-white showroom on 25 W. 39thStreet, just in time for Spring 2019 Market Week. Here, a walk through the rooms featuring Bruni Magli, BCBGMAXAZRIA, BCBGeneration, CXL by Christian Lacroix, Hayden Harnett and Go!Sac labels. Next up are the BCBG brands, which go from daytime chic to evening elegance. In a 2017 partnership with Marquee Brands, the owners of BCBGMAXAZRIA and BCBGeneration, AHQ rolled out its first collections of the labels in 2018. 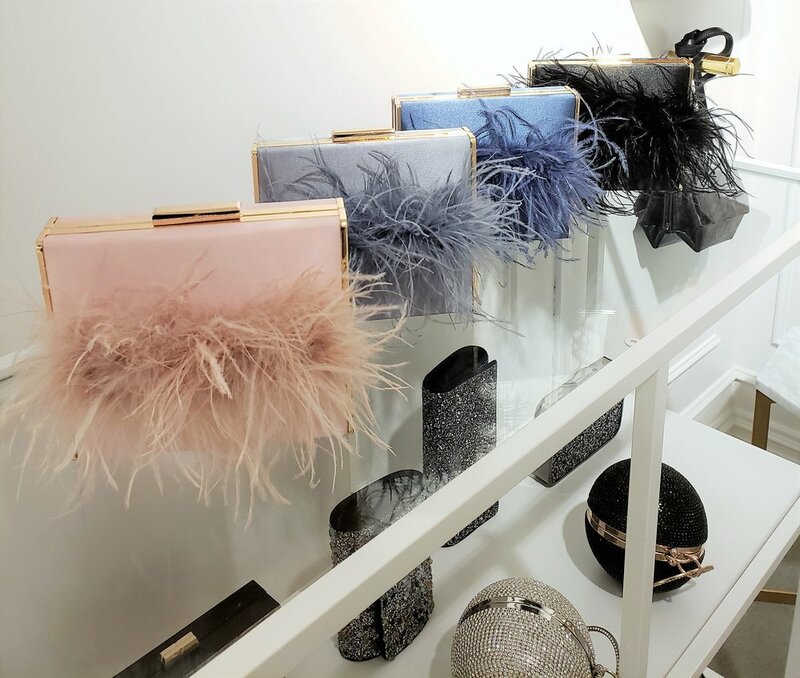 For the SS19 launch, BCBGMAXAZRIA includes leather and suede bags plus special occasion clutches and wristlets encrusted with crystals or feathers. The brand’s core ranges from $298-$398. Positioned as BCBG’s trendy little sister, the 100% PU BCBGeneration line sits in the contemporary/junior world. Statement-making shiny patent leather plus colorful foil metallics, snake and wovens capture attention. Retails range from $88-$168. SLG’s are also key. 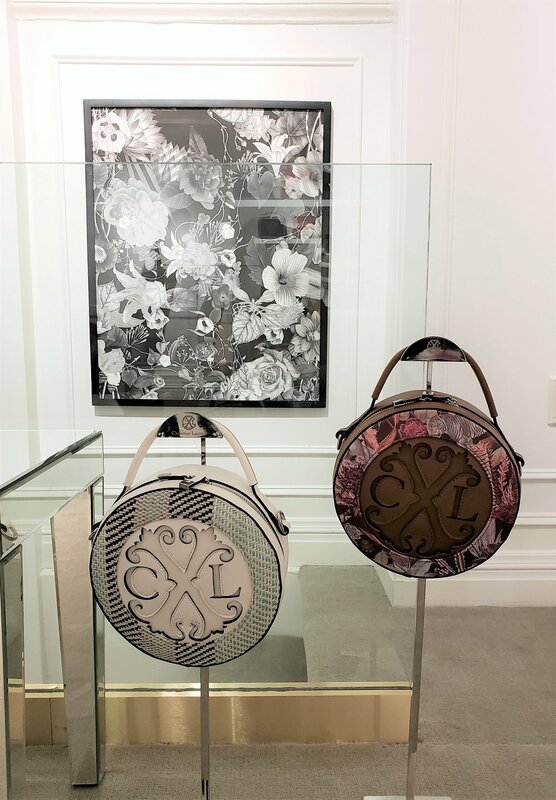 The high-fashion brand CXL by Christian Lacroix line features tapestry prints, intricate wovens and colorblocked “faux” leathers. Logos feature prominently, and a cartoon print with the word bubble “Lacroix, Sweetie!” is a fun nod for Absolutely Fabulous fans. 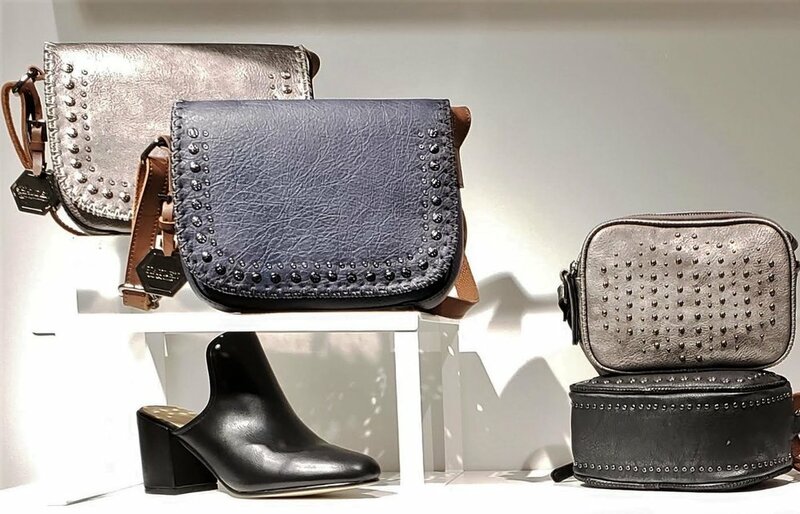 AHQ’s Hayden Harnett line features 100% PU vegan leather with western accents like whipstitching and studs. Prices all fall under $200. GO! SAC is AHQ’s proprietary brand, featuring lightweight nylon on-the-go pouches, backpacks, belt bags and totes. 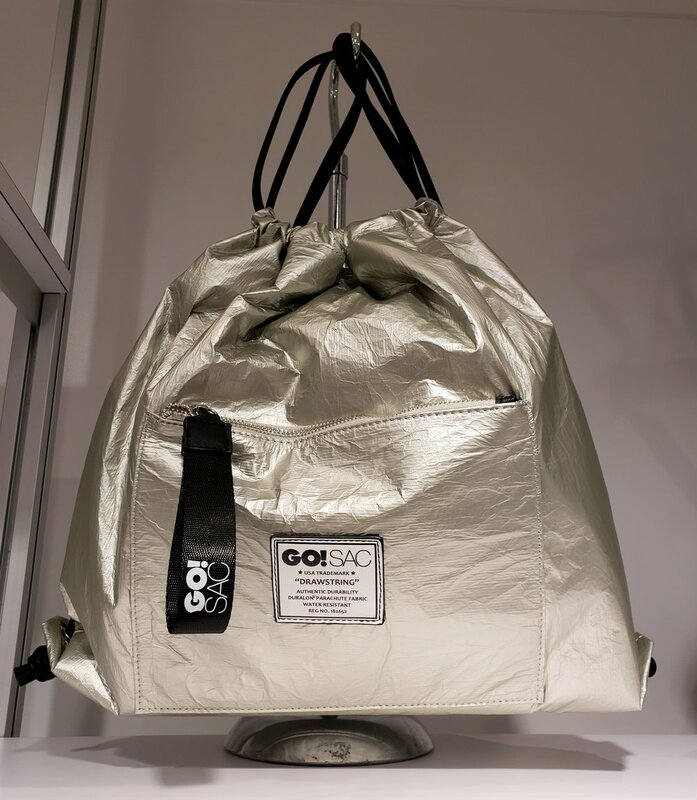 Metallics upgrade the brand in style, while outside labels (“Drawstring”, “Convertible”, “Hipster”, etc.) provide a clever inside-out touch.